Buy the student manual online now. All major payment cards accepted via PayPal. Shipping for up to 5 DVDs: UK £3.75, EU air £5.50, Rest of World air £8.00. Shipping for additional copies is applied at the same rate. All DVDs sent through the post are insured to ensure delivery, all DVDs will have to be signed for on delivery this method also increases the speed of delivery and is tracked to your door. You may also order by sending a UK cheque payable to "Tuina UK" to: Student to Master, 153 Clifford House, 7-9 Clifford Street, York, YO1 9RA. Download order form (pdf). Any questions? info@tuinastudenttomaster.com or use the enquiry form. 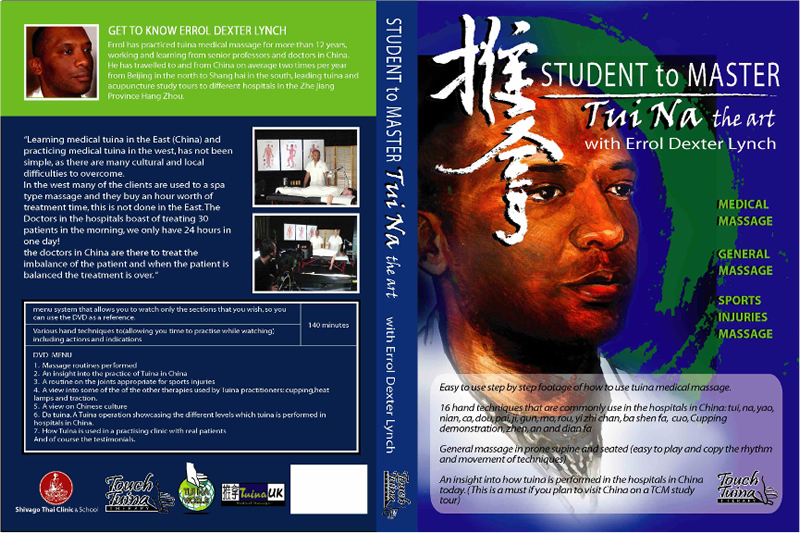 After so many years experience with Tui Na I produced a DVD. Tui Na Student to Master, is a step by step video on how to do and improve your Tui Na massage. Filmed in China and England, with never seen before footage and many treatment demonstrations. Student to Master lasts two hours and twenty minutes. There is a menu with chapters so you can easily view the sections most relevant to your study. 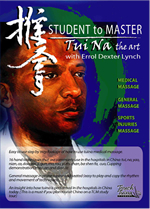 A variety of subjects are covered, including many different hand techniques fundamental to Tui Na, Sports Massage and Da Tui Na (a Tui Na operation). At Tuina UK we are trying to improve the level of tuina practitioners outside China. We offer introduction to Tui Na, lectures, and study tours. See the brochure for details. My experience of Tui Na began when I participated in an Acupuncture clinical training study tour in Beijing in 1998. Since then I have been fortunate enough to return to China each year to continue my training with doctors and professors of Tui Na. I have a passion for Chinese medical therapies mainly Tui Na massage, Tui Na based reflexology, Cupping, Moxibustion and herbs. I have studied other therapies such as acupuncture, shiatsu, sports injury massage, massage in pregnancy, baby massage and holistic massage. Since finding Tui Na in Beijing in 1998 on a acupuncture clinical training and seeing first hand its effect. I have made it part of my repertoire of therapies. 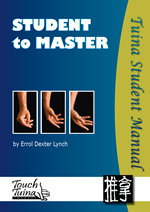 A step by step guide to the key aspects of tuina therapy for practitioners or students of massage ? filmed in China and England with examples of its use in a practising clinic with real patients.